Summary: "Senior year is over, and Lucy has the perfect way to celebrate: tonight, she's going to find Shadow, the mysterious graffiti artist whose work appears all over the city. He's out there somewhere—spraying color, spraying birds and blue sky on the night—and Lucy knows a guy who paints like Shadow is someone she could fall for. Really fall for. Instead, Lucy's stuck at a party with Ed, the guy she's managed to avoid since the most awkward date of her life. But when Ed tells her he knows where to find Shadow, they're suddenly on an all-night search around the city. And what Lucy can't see is the one thing that's right before her eyes." Thoughts: When I first read A Little Wanting Song, I immediately fell in love with Cath Crowley's writing. She just has a certain finesse that makes her stories not only easy to read, but easy to fall in love with. Graffiti Moon is no different. 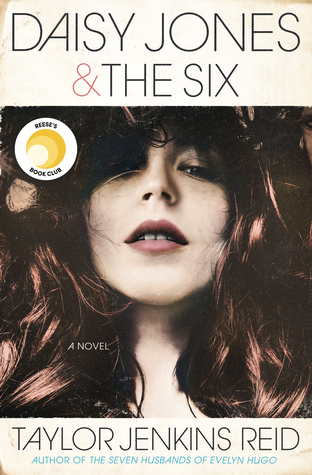 It's more than just an adventure novel, filled with hi-jinks and romance, but a novel filled with enough raw emotions to break your heart and mend it all over again . For those who've read A Little Wanting Song, you know that the story is told through two points of view, with a little song "break" every so often. The reason I mention this is because Graffiti Moon is told the same way, but with poetry instead of songs. Though the story is mainly told through the eyes of Lucy and Ed, you also get glimpses into the lives of Leo, aka Poet, Jazz, and the other secondary characters. Personally, I love this aspect of the story. So often, you only get insight into the lives of the main characters, or even just one character. Not in this case. Everyone is dealing with some problem, whether it's a break up, family issues or just the need for adventure. Just as the book says, you also get that Nick and Norah adventure, except replace the band with a graffiti artist. The only difference is you know who Shadow (the graffiti artist) and Poet are from the start. Nonetheless, it's quite entertaining. I love the description Crowley uses to describe Shadow's walls. She makes them sound so beautiful, yet painful. They each have a story behind them, which also adds a nice little touch to the story. And Leo's poetry! Oh, how I loved those little poems he writes. There's so much pain behind Shadow and Poet's eyes, yet they still stay strong. I don't know about you but I love a strong guy with a sensitive heart, and there's not just one, but TWO in the story. Double the romance, double the sighs. Lucy and Jazz are also a fun pair. They're so different, yet alike. They have that kind of best friend relationship everyone dreams of having. Plus, they always have each other's backs and genuinely care for one another. Lucy is the artist who doesn't care what other people think about her, even if they think she's weird. She'll gladly lay down on the sidewalk and draw pictures using the sky as her background. I love this about her. AND SHE'S TOUGH! If you're a guy, be sure to stay away from her "arse". You'll see. All in all, I loved every single minute of Graffiti Moon. I normally don't like reading books on my computer, but I couldn't pull myself away from this story. I read it at work, at home, and even on my phone at the Post Office. 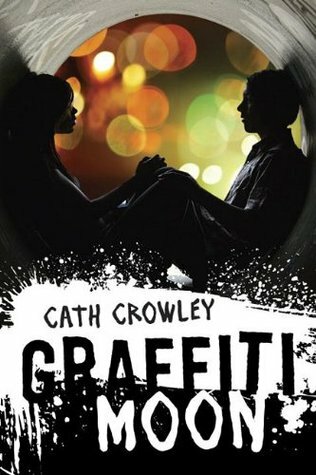 For fans on Nick and Norah's Infinite Playlist and Dash and Lily's Book of Dares, you are going to LOVE Graffiti Moon. Cath Crowley is quickly becoming one of my favorite authors, and I cannot wait to see what she has in store for us next! Thanks for the review - strange cover.